What The f**k Are Probiotics? You're probably wondering WTF this has to do with beauty. Well, in addition to keeping skin healthy from the inside out, probiotics can be applied topically to benefit the skin quickly and directly. Probiotics are able to strengthen the skin barrier, reduce inflammation and redness, promote moisture absorption and reduce the appearance of fine lines. And this is why we're now seeing so many probiotics in skincare products, whether they be cleansers, serums, moisturisers, or masks. 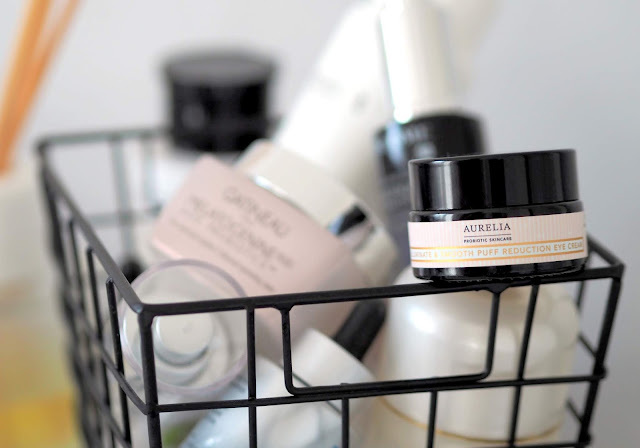 In fact, probiotics are a big 2019 beauty trend, so expect to see them sweeping the skincare shelves. First up is a cleanser from a brand that puts the pro in probiotic, Meder Beauty Science. The Swiss brand's Net-Apax Prebiotic Cleanser (£30 mederbeauty.com) is a cream cleanser designed for those with thin, traumatised, irritated, and sensitive skin. It contains silver mallow extract to soothe skin, ease discomfort, and even suppress inflammation. Prebiotic BioEcolia® is (of course) also included to re-balance, maintain and stimulate ecoflora, to strengthen the skin’s own natural protection. The scentless cleanser has a lightweight consistency that turns milky when mixed with water. 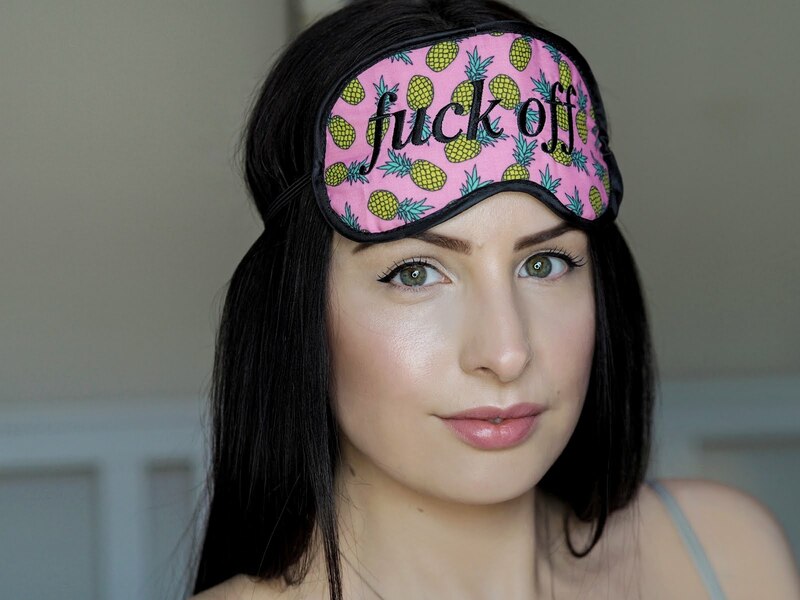 It applies and rinses away perfectly, however I wouldn't recommend using this to remove heavy makeup - it's not designed for that. Instead, opt for a double cleanse and use this as your final product. 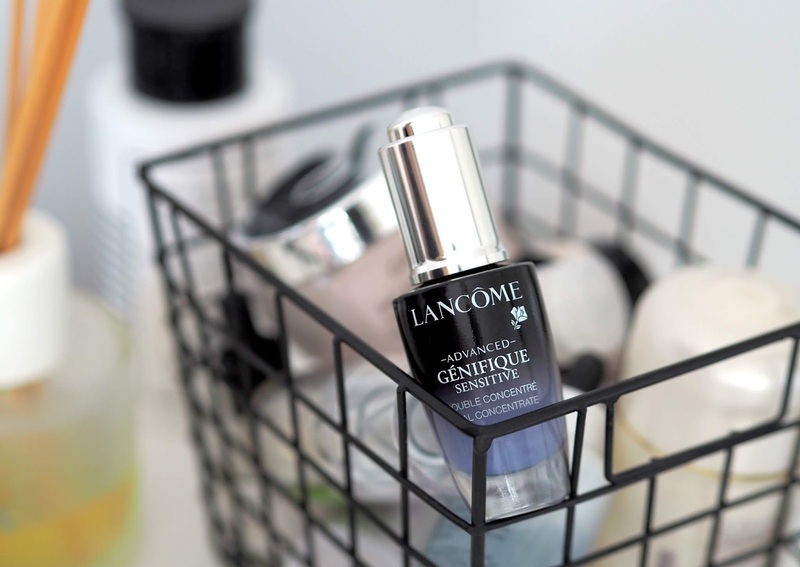 Next we have Lancôme's Advanced Génifique Sensitive Dual Concentrate (£59 feelunique.com) - a serum designed for bad skin days. The antioxidant-rich formula contains ferment extract, bifidobacterium extract, lactobacillus ferment extract, vitamin E, and ferulic acid. Interestingly, this formula is broken into two parts that are isolated from each other until first use, helping to maintain freshness. I absolutely love this serum - it is lightweight, absorbs quickly, and acts as the perfect skin pick-me-up. 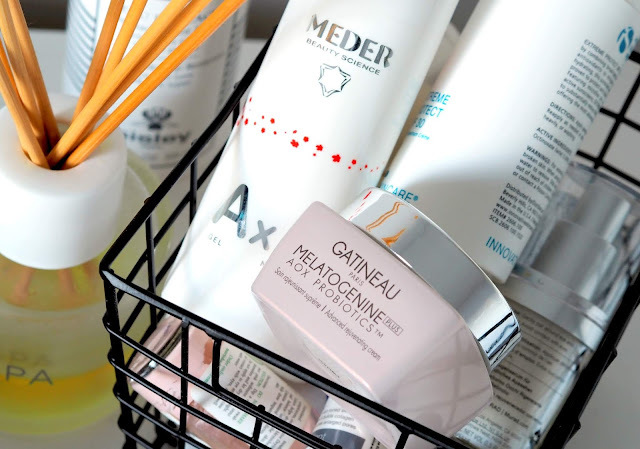 For moisturisers, look to Gatineau's Mélatogénine AOX Probiotics™ Essential Skin Corrector (£79 amazon.co.uk) - a skin-softening face cream that is all about correction. It smooths lines and wrinkles, boosts elasticity and restores the complexion, to leave it even and glowing. Skin is protected and balanced with a combination of antioxidants and probiotics, whilst the brand's youth activating molecule, Mélatogénine, works to fight the signs of ageing. This cream is my winter essential. It's super rich, feels uber nourishing on my skin and provides enough moisture to keep my skin protected from the cold. Finally, the Aurelia Probiotic Skincare Illuminate & Smooth Puff Reduction Eye Cream (£44 feelunique.com) is a rich, velvety cream that absorbs into the eye area quickly, leaving no greasiness or tackiness behind. Its formula features fast-acting ingredients that include centella asiatica, butcher’s broom, and arnica - which help to reduce wrinkles, puffiness, and dark circles, as well as brighten the eye area. As with all Aurelia products, this eye hero contains probiotics that activate the skin’s natural ability to repair itself and boost the natural process of restoring collagen, elastin, and healthy cells. The probiotic of choice is a non-live probiotic from bifido bacteria in the form of a glycoprotein.